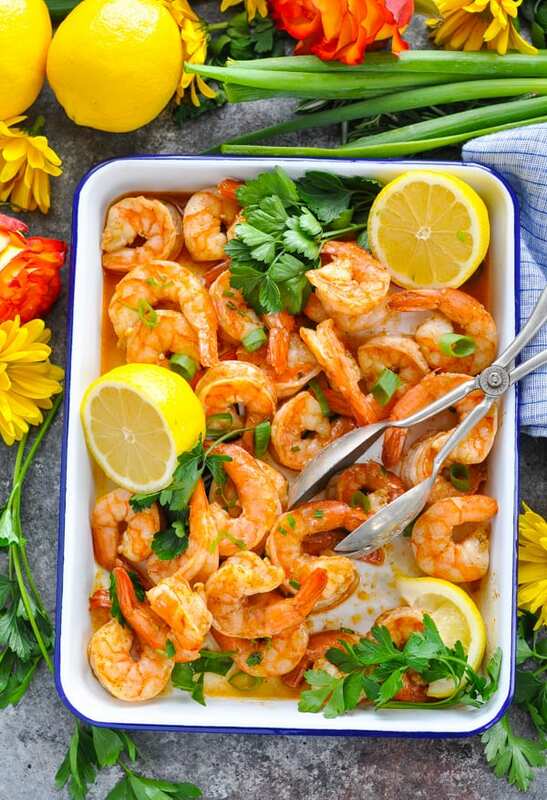 Americans eat more shrimp than any other seafood, so on May 10 we're celebrating "National Shrimp Day" with a quick recipe for Sheet Pan New Orleans Barbecue Shrimp! 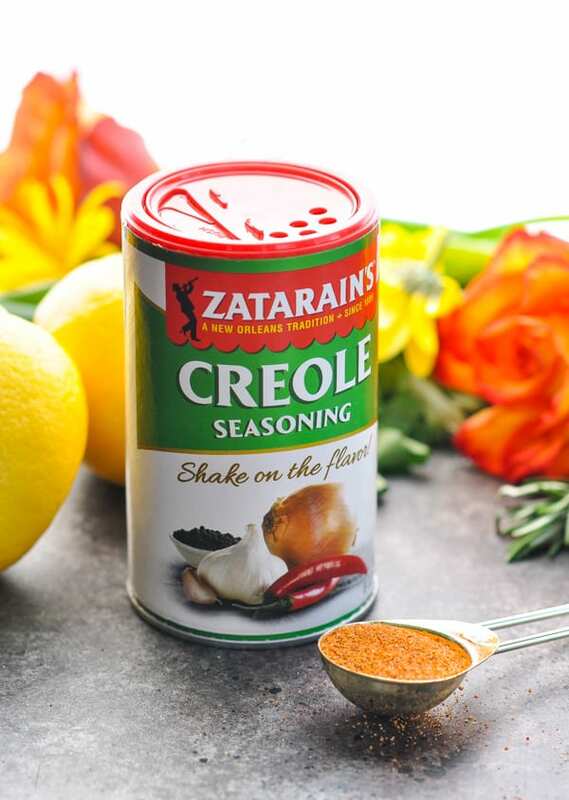 Perfectly seasoned with Zatarain's Creole Seasoning, this easy dinner comes together in just 20 minutes. Plus, you can't beat the easy cleanup, y'all! 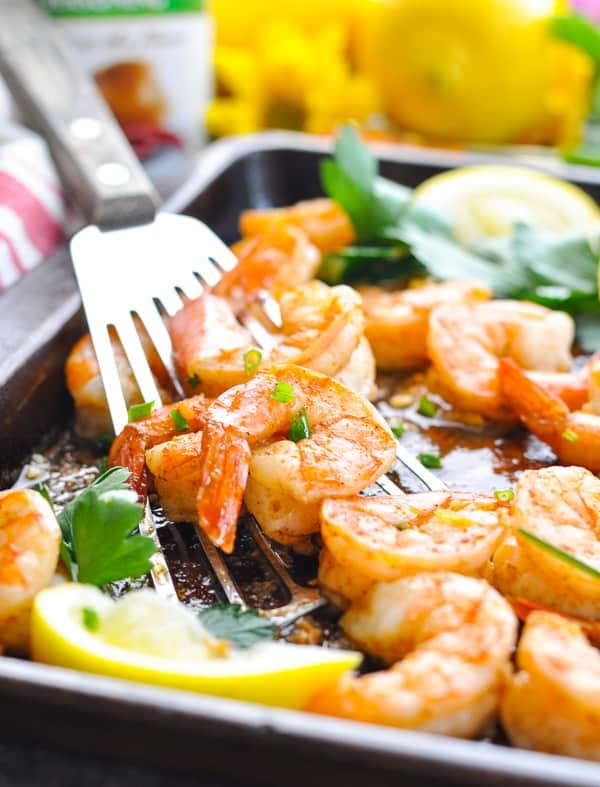 Americans eat more shrimp than any other seafood, so on May 10 we’re celebrating “National Shrimp Day” with a quick recipe for Sheet Pan New Orleans Barbecue Shrimp! 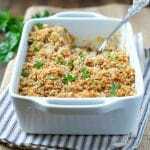 Perfectly seasoned with Zatarain’s Creole Seasoning, this easy dinner comes together in just 20 minutes. Plus, you can’t beat the easy cleanup, y’all! It’s no surprise that shrimp is so popular. After all, the versatile protein is easily accessible in just about any grocery store (even for those of us who live in the middle of nowhere without an ocean in sight! ), it’s relatively affordable, and it cooks in a matter of minutes. 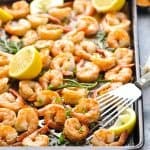 I keep a couple of bags of frozen shrimp in my freezer at all times for those last-minute dinners when I need something to serve in less than 30 minutes. 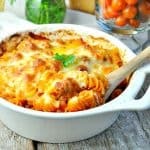 It’s one of those perfect ingredients that the whole family can agree on! With help from Zatarain’s Creole Seasoning, this Barbecue Shrimp dinner requires just 10 minutes (or less) of hands-on prep time. 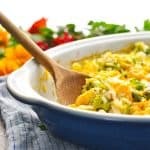 It delivers maximum Southern flavor with minimal effort! 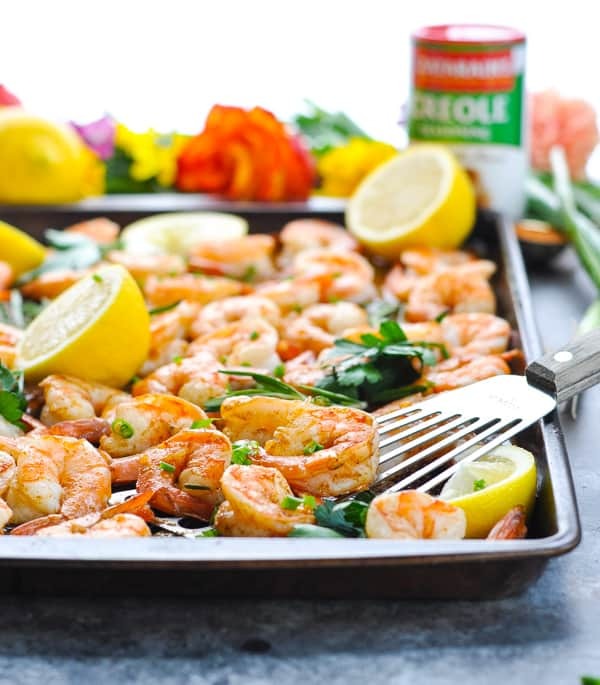 Use the Creole Seasoning to prepare a quick marinade for the shrimp! Just whisk the seasoning with olive oil, butter, Worcestershire sauce, garlic, lemon juice and fresh rosemary. It’s so easy that your four-year-old can even do it! That special Zatarain’s blend adds a perfect dose of New Orleans taste to every bite of barbecue shrimp. How do you cook shrimp in the oven? Roasting shrimp in the oven is my favorite way to prepare seafood on a busy weeknight. There’s no need to stand over a skillet stirring, and there’s no need to thread shrimp onto kabob skewers for the grill. It’s just so darn easy! Plus, at the end of the meal, you only have one pan to wash! First, you’ll combine the peeled and deveined shrimp in a large plastic bag with the marinade. Let the shrimp sit on the counter for about 10-15 minutes while you preheat the oven. A hot oven (425 degrees F) cooks the shrimp perfectly so that they’re crispy on the outside and tender on the inside. The barbecue shrimp only need about 10 minutes to roast, so keep an eye on them and make sure that they don’t get overcooked. I like to stir them halfway through to ensure an even finish. 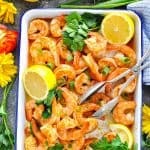 Served with rice, biscuits, or pasta, the Sheet Pan New Orleans Barbecue Shrimp become a zesty, satisfying and delicious dinner that your family will devour. It’s a weeknight Southern seafood feast in just 20 minutes — and you’ll feel instantly transported to Cajun country! 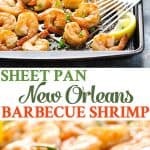 I hope that you’ll join me on May 10 as we celebrate National Shrimp Day with this easy Sheet Pan New Orleans Barbecue Shrimp. Enjoy, friends! Looking for even more easy shrimp inspiration? I’m drooling over these Easy Creole Shrimp Cakes and this Zesty Bacon Wrapped Shrimp! 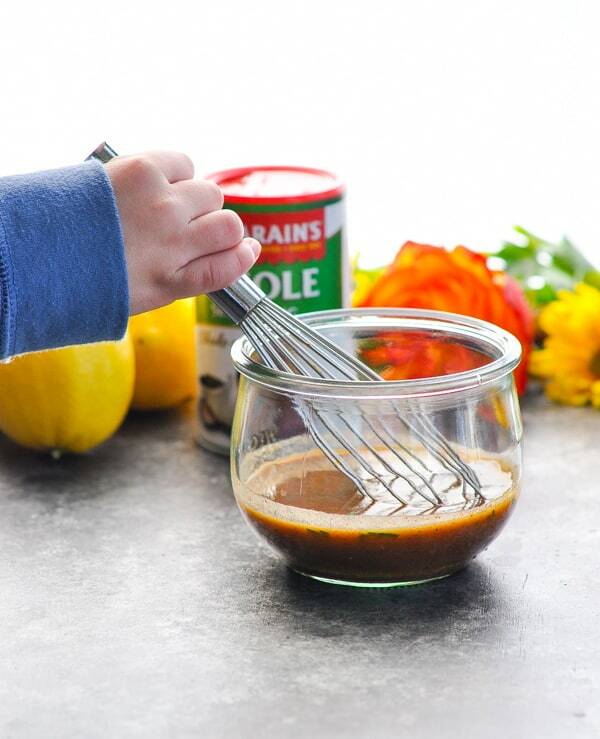 In a glass measuring cup, whisk together olive oil, melted butter, Worcestershire sauce, Zatarain’s Creole Seasoning, garlic, juice from 1 lemon, and fresh rosemary leaves. Place shrimp in a large zip-top plastic bag and pour marinade over shrimp. Seal the bag and toss to coat. 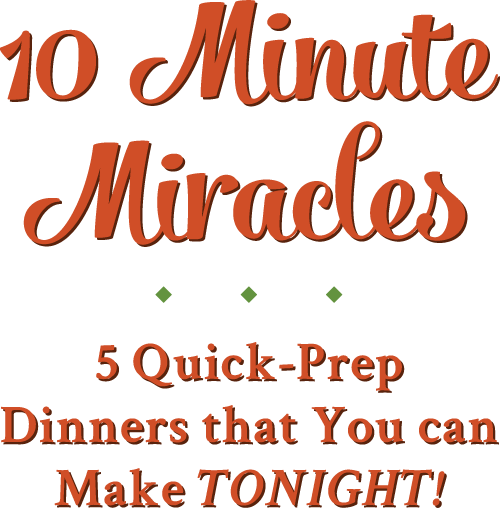 Marinate for about 10-15 minutes while you wait for the oven to preheat. Spray a foil-lined baking sheet with cooking spray. 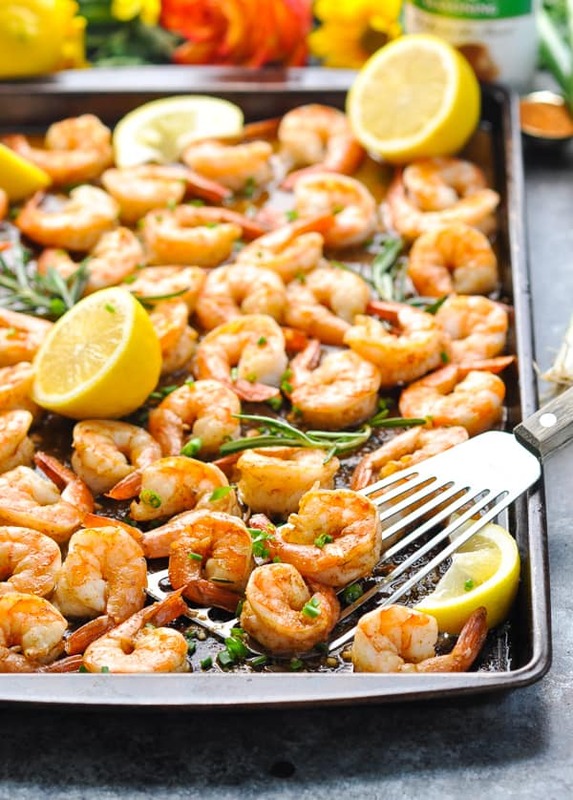 Pour shrimp and marinade onto the prepared baking sheet and spread into a single layer. Roast shrimp for 9-12 minutes, or just until pink, stirring halfway through. Be sure to keep an eye on the shrimp so that you don’t overcook them (or the shrimp will be tough). Remove from oven and squeeze juice from remaining lemon over top. Toss to coat. Garnish with fresh herbs, if desired! *I used "Jumbo" shrimp, 21-25 ct. per lb. If you're cooking smaller shrimp, you will likely need to decrease the cooking time by a minute or two. Cooking Just for Two? 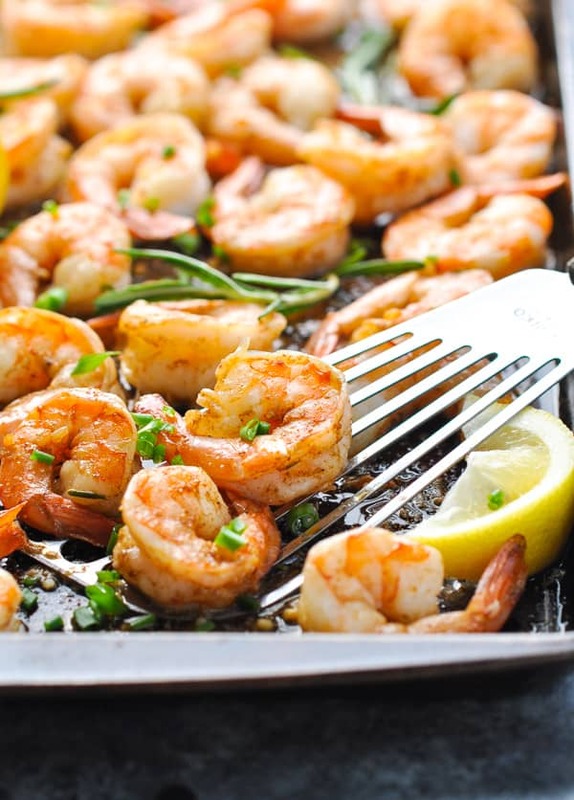 Use 1 pound of shrimp instead of 2 pounds. 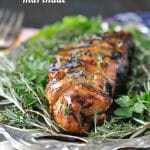 The rest of the ingredients remain the same, since you can never have too much marinade! The cooking time will also remain the same. 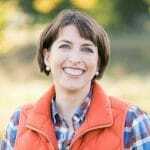 Thanks to Zatarain’s for sponsoring this post! As always, all thoughts and opinions are entirely my own. These little shrimp look absolutely beautiful! And who doesn’t like easy cleanup? lol.